Yesterday at work I was tasked with sitting in a screen equipped with a torch to help people walk down the stairs in the dark incase they fell over, and after nobody got up to go for a piss I went and it was me who ended up falling over. I’m a victim of society in that sense, but today we’re here to talk about Enough Said, the new single from…A Victim Of Society. 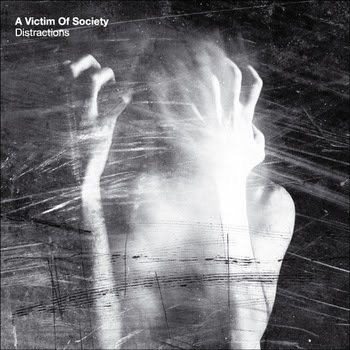 A Greek duo who last month released their debut album Distractionswhich you can listen to here, and check out the new music video below. Enough Said is a song filled with grit and heavy amounts of feedback produced from numerous guitar riffs that succeed at adding a little tension to the atmosphere. A Victim Of Society do a great job of coming across as a badass unit in this track as every single instrumental sounds like it’s going at the pace it wants to go, and erupts when it feels like giving off some emotion. It’s awesome. The heavily distorted vocals really coincide with the video’s theme of a man dealing with his nemisis while trapped in a nightmare. Enough Said‘s dark, brooding sound really comes off well here, like something QOTSA could have produced if Era Vulgaris was just a little bit better. Check out the video to Enough Said below, and check out A Victim Of Society’s Distractions here too. For more music reviews, free downloads and if you feel like a victim of society please come to our Exploding Head Syndrome support groups on Facebook and Twitter.